The most annoying thing in the world is when you get into a comfortable bed in your most comfortable pajamas, close your eyes for a long night's well deserved sleep, and then realize that your eyes are wide open and sleep is nowhere to be found. However, what is even more annoying is when you have to wake up from your sleep because your body is not letting you relax. Sleep problems have plagued most of the world's population. From insomnia to sleepwalking, sleeping problems have ruined many a person's day because everyone needs proper sleep to work. Without a good night's sleep, it can become hard to concentrate on even the simplest tasks at hand. Another problem related to sleep is that of sleep apnea. Sleep apnea is a potentially serious sleep disorder. Although many might dismiss it as snoring, sleep apnea happens when a person's breathing repeatedly stops and starts. Although a person might just be snoring, if they don't recognize the symptoms, they might not realize that they have a potentially serious disorder. If a person needs to sleep during the day time, if they snore very loudly, abruptly awake from shortness of breath, get morning headaches or insomnia, wake up with a dry or sore mouth or throat, or have trouble paying attention; they are showing clear signs of sleep apnea. If the person suffering from these symptoms is fatigued, irritable or sleepy; then they should consult their doctor. Many people, who have sleep apnea, however, have started making use of CPAP machines to help them sleep more comfortably. CPAP machines are devices for respiration which are used to treat obstructive sleep apnea. This type of sleep apnea is the most common form of the disorder where the throat muscles relax and cut off the airway to the lungs. People use a CPAP machine to help them breath better. This machine acts as an air splint, as it supports the airway and dilates it to prevent apnea. 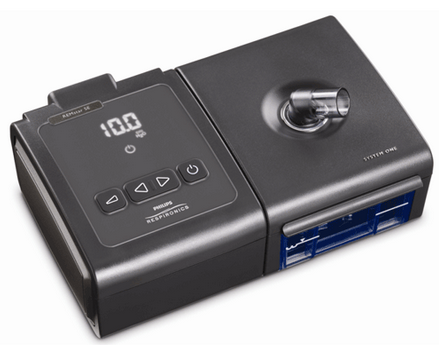 CPAP machines offer support and do not work as a ventilator or as an oxygen supply unless it is used in connection with supplementary oxygen. CPAP stands for continuous positive airway pressure. A typical CPAP machine consists of an air pump contained in a sound absorbing material. Many CPAP machines have a built-in humidifier to keep your airways moisturized. 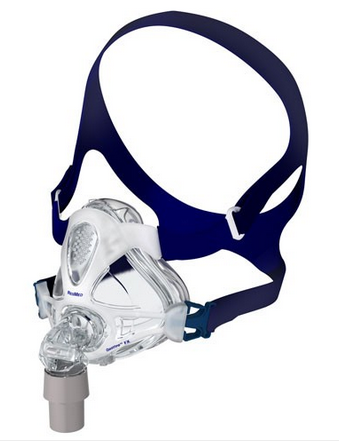 A hose runs from the CPAP machine to a which carries the pressurized air to a mask or a nasal pillow. There are several kinds of masks which can be used to provide you with the right air to help take the pressure off. Sleep apnea can be a serious disorder because it interrupts the brain's signals to the muscles which control breathing. This is known as central sleep apnea. So if you detect symptoms of muscle failure, it is better to be safe than sorry and consult a doctor for proper diagnosis. CPAP machines for sleep therapy are available in several price ranges. Technology has helped improve sleep and as people are becoming aware that their snoring might be something other than just that; they are relying more on CPAP machines to help them get a safe and good night's sleep.